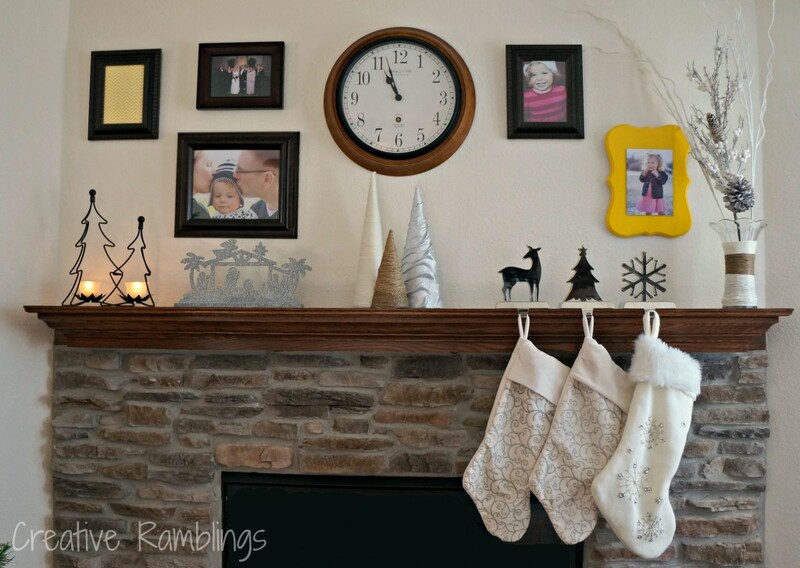 I have another quick and easy project for your mantle, or any other little nook you decorate for the season. This year I am going with winter white and silver so that my mantle will last a couple months. I shared my Wrapped Paper Cones with you last week. 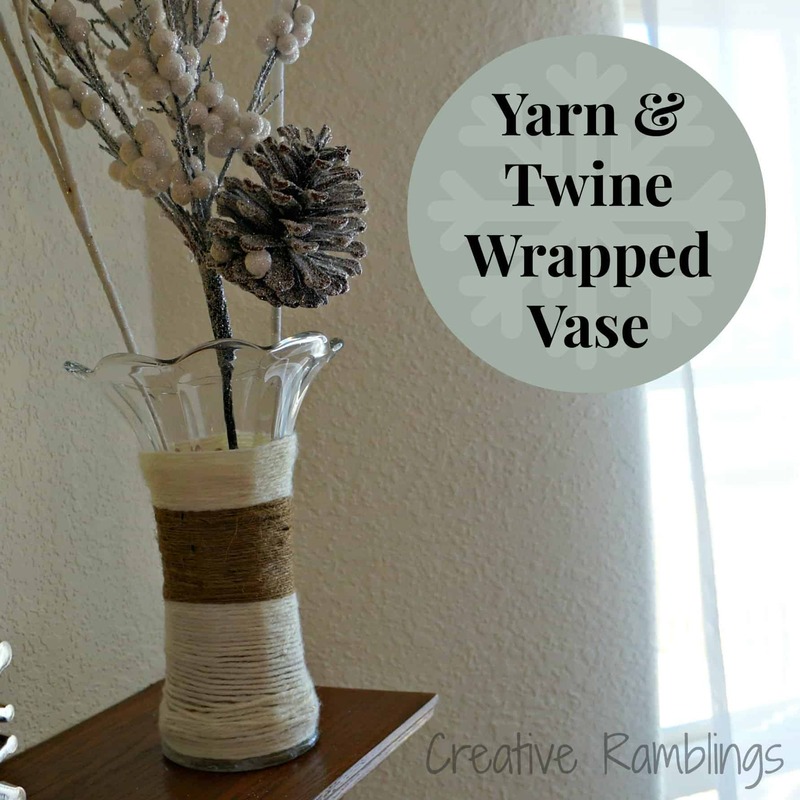 Now I want to show you this glass vase I updated with the same yarn and twine. This is a vase that I’ve had for years but didn’t look quite right on my mantle. It needed something, maybe etching, or glitter. 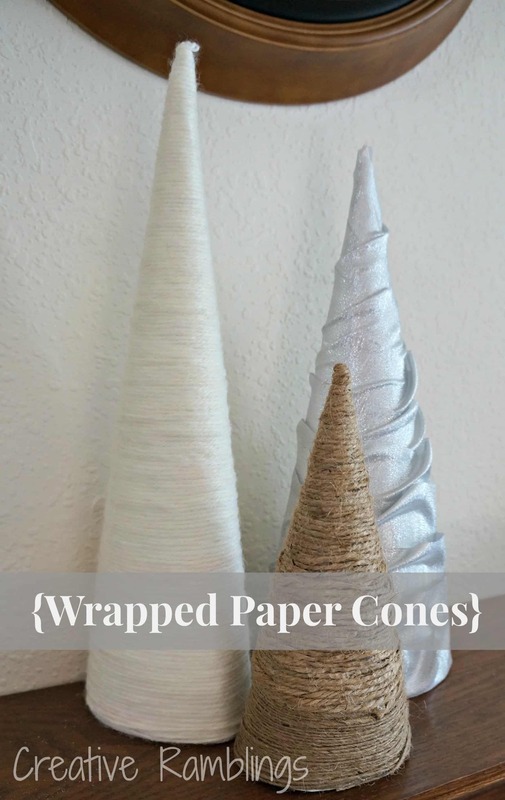 After wrapping my paper cones I was on a roll and went with the same technique. I started with some hot glue on the bottom edge and wrapped my way up, alternating yarn and twine. I like the flared rim on this vase so I left it visible (or maybe I ran out of yarn). I added some stems from Michael’s I picked up for around $5 and there you have it. A simple wintry touch to my mantle. I love the simplicity of this! Great easy project! so pretty! Thanks for sharing on the Monday Funday link party. 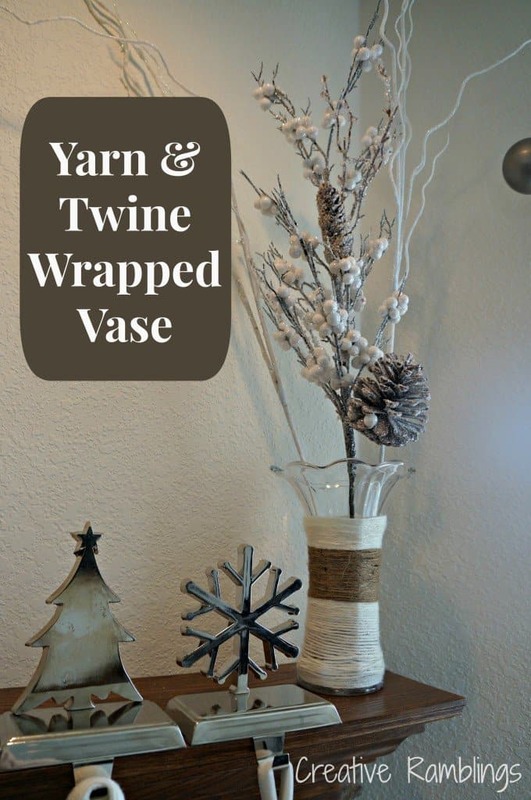 I like this idea….and I can do it with stuff I already have around the house! Thanks for visiting Night Owl Corner. I was just stopping by to check out your blog too!